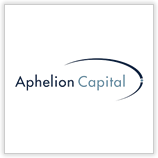 Aphelion Capital makes public and private investments in the Medical Technology Industry. Aphelion leverages its substantial medical technology knowledge and deep networks to enhance returns for both the fund and the entrepreneurs in whom the fund invests. Aphelion's managers have extensive experience investing in medical technology companies across both the public and private equity markets. They bring a wealth of expertise and an impressive network of contacts and support to the companies and managers in whom they invest. Aphelion Capital invests in medical technology companies across all stages and therapeutic areas, but strongly prefers investments in companies with low capital requirements and short time lines to market. The Fund is generally a long term investor in companies that we believe have superior products and strong management teams.